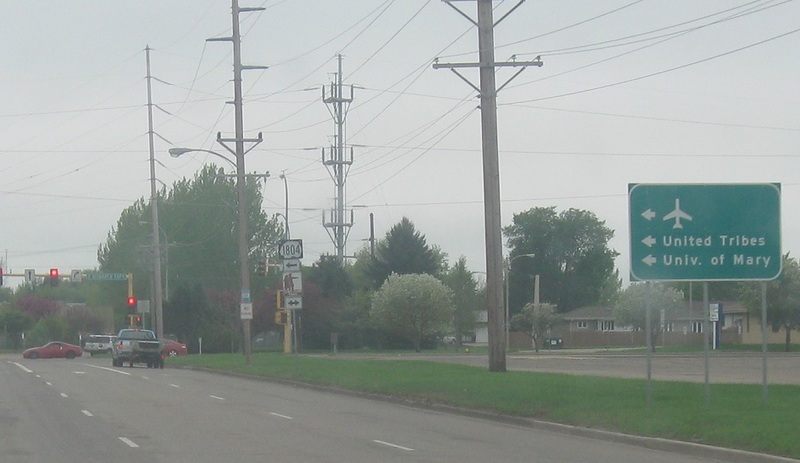 A few blocks later, we’ll approach the South Bismarck Expressway, which is unsigned ND-810. 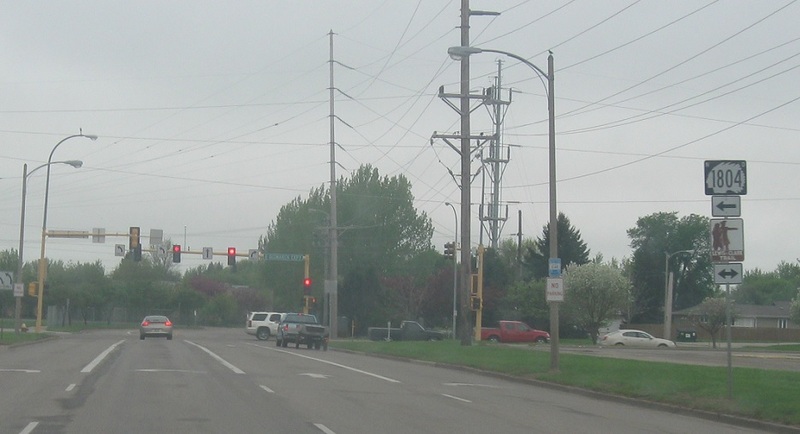 Follow the expressway east to the Airport, the United Tribes, and the U of Mary. 1804 south will join 810 for one block to catch up to the other part of the one way couplet.